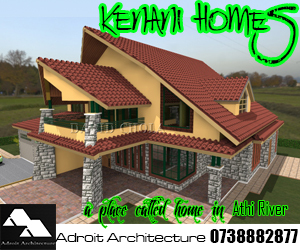 The Kenyan architect is faced with several challenges in meeting client’s objectives while designing house plans in Kenya. Clients are increasingly more exacting in their preferences for their dream home, and demand higher professionalism from building consultants. The architect therefore must carry out thorough procedures at the onset of the design to ensure that everything begins on the correct footing. The commencement of the design process should usually engage the client in extensive consultations with the client. In this stage, the building program or brief should be interrogated in detail between the client and consultants in order to create an accurate picture of the client’s requirements. Thorough discussions should also be held with all stakeholders who will be part of the project, right from the decision makers to the users of the spaces at the end of the day. 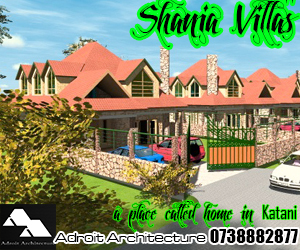 The Kenyan architect should prepare an accommodation schedule at the end of this process. This typically captures the types of rooms to be created, their sizes and quantity if they are several in numbers, as well as any special characteristics for each of these spaces. Such characteristics could include matters of orientation, finishes and spatial qualities to be integrated in the spaces. Should the project entail renovations and retrofitting of existing spaces, it would be necessary to familiarize oneself with the existing use of facilities and the extent of change required by the client. Part of the brief shall entail confirming which areas shall be physically changed as well as mitigation measures for dealing with disturbances to users. A relocation schedule can be prepared at this stage if necessary. Confirmation of existing parameters – site analysis, zoning by-laws. Every project requires to be thought of in context of its location and its surroundings. 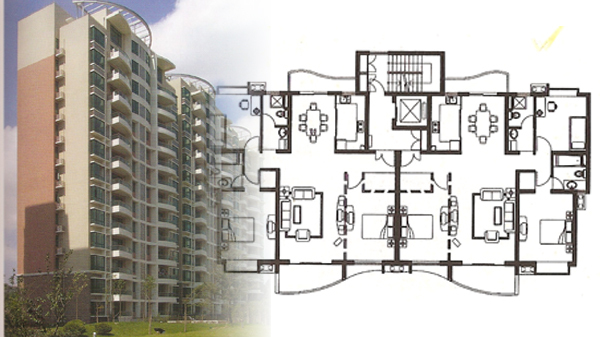 The immediate environment of the project needs to be thoroughly considered when commencing the design process. It is this that determines important design factors such as viability of the site, orientation of buildings, access to the site and approach to buildings, best views, among other issues. Of particular concern to the Kenyan architect is the existing infrastructure and services that shall be integrated to a project. These include water and sewer connections and lines, electricity supply, telephone and communications connections, as well as any other related services. The state of physical roads determines the degree of difficulty accessing the site. Should the roads be very rough, one may need to factor in the cost of refurbishing the road to increase the desirability of the scheme to the end user. A major factor that controls a project’s viability are the zoning by-laws of a particular location. Confirmation of the Statutory Regulations affecting development in the area. Zoning ordinances spell out the type and size of development that is allowable within any particular locale, and is normally enforced by the local municipality or city council. Typical zoning ordinances or bylaws include restrictions on minimum plot subdivisions and sizes, maximum ground coverage, as well as maximum plot ratios. 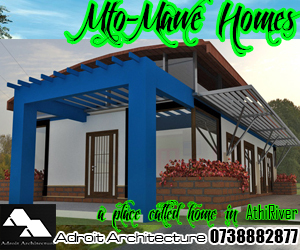 The plot ratio is a factor of the size of the plot and hence defines the maximum size of building that one can build. The Kenyan architect shall also require to liaise with special authorities that are stakeholders of the project depending on its location. For example, projects near an airport shall require the approvals from the country civil aviation authority. The National Environmental Management Authority (NEMA) gives approval of all building projects as regarding environmental matters in Kenya. Environmental Approval for the project requires appointment of a NEMA registered environmental expert, who shall prepare a preliminary environmental impact assessment report for the NEMA’s consideration. Approval may be given at this stage though for more larger detailed projects one will be required to carry out a full environmental impact assessment study and submit a report. This is probably one of the most important tasks that the Kenyan architect should carry out in close consultations with the client. A client may have conceived a project to meet their needs, but may not have considered the viability of the project either in the proposed location, environmental context, or financially. Based on some of the above mentioned parameters, a particular kind of project may be non responsive in one context yet okay in another. The financial viability analysis based on preliminary cost estimating and cash flow forecasts should be considered in addition to physical and socio-cultural and political factors. For example, a client would be ill advised to build a residential bungalow in an area that allows building of office blocks. Better returns may be achieved by constructing a project that fits its context in most cases. Decisions as to whether a project is financially viable are usually taken by studying the market trends of the area and confirmation with existing municipal by laws. At the financial level, one needs to confirm economic factors such as cost of financing, purchase or letting rates among others. The architect and his design team can offer the client invaluable information regarding the same to ensure they make an informed decision to proceed. In conclusion, the Kenyan architect must carry out extensive investigations of the project both on ground and on paper prior to commencing the actual design of the project. These parameters will influence the direction that the design will take. The best design solution is the one that responds to these factors most adequately. 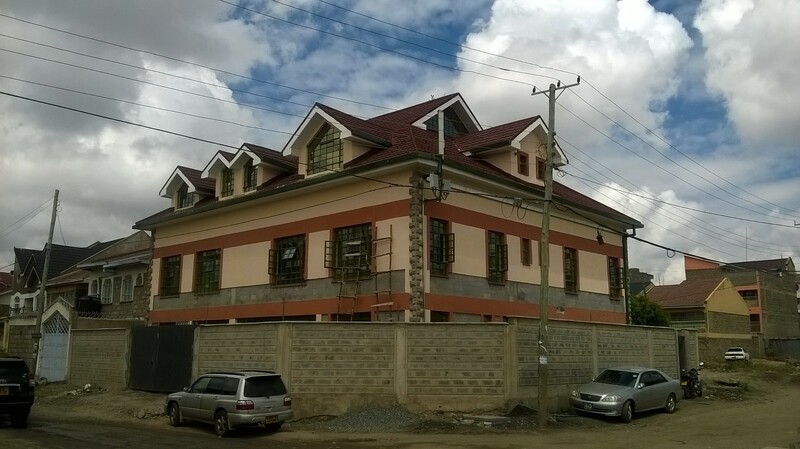 Kenyan architects must exercise due diligence and account for these factors as they design their building projects. You must fulfill their needs as you re there for them. You must also convince them.